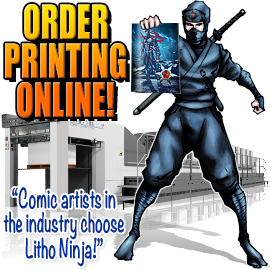 Top Comic Artists Choose Litho Ninja For Their Comic Book Printer! Litho Ninja Comic Book Printing Company is a HIGH-END, PROFESSIONAL-QUALITY online comic book printer using the highest quality papers and inks, with the SOLID reputation among the comic community for FAST, PROMPT comic book printing and replies. If you're a comic book professional artist or amateur comic enthusiast (or anyone else) seeking comic book and comic-related printing, see why the top comic artists in the industry choose Litho Ninja! For over 30 years, Litho Ninja Comic Book Printing has had the reputation of responsive customer service, high-quality fast-turnaround comic printing, and competitive pricing. Click here to order your professional-quality comic printing! "These books are freaking FANTASTIC! The quality is superb and the books are so crisp." "Time and again I am blown away by your superb customer service." "Thanks so much! I really appreciate your quick responses and wonderful customer service!" "My proof from Ka-Blam arrived 24 days after order!!?? Comparing Litho Ninja's to it is no contest. Your comics have better quality paper, more brilliant color and bound more neatly." "I got my comic books today and they look AMAZING! I will proclaim Litho Ninja superiority to everyone I know." "Thank you very much for your fast response!" "You guys are great! 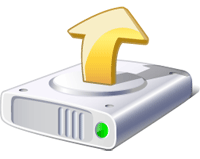 Great quality work and great interactivity. I appreciate it!" "Paper quality and colors are the best of all printers I've used!" "I received my books this week and they look fantastic! Can't wait to start on the new project with you guys." "HOLY FREAKING COW, IT'S BEAUTIFUL!!! The print looks amazing." "You guys are an absolute pleasure to work with and I can't thank you enough for being able to meet our request in such a timely and professional fashion!" "Thanks for getting back to me so quick!" "I received the books. Fantastic job!" My books arrived and were waiting for me in Austin. Thank you! They look good and are a hit. Please give all the folks at Litho Ninja my regards for another job well-done. Litho Ninja comic book printing is backed by the most highly sophisticated digital and printing technology on the planet, and can handle any of your printing needs. Save 20% On All Comic Print Orders! Become a Premier Member and receive 20% OFF ALL your print requests! Click here to upgrade your free membership and receive these savings. 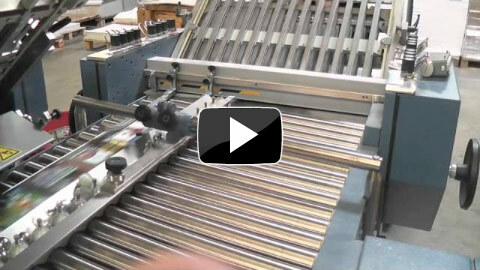 At the heart of Litho Ninja comic book printing is one of the largest printing companies in Houston, Texas. Backed by the most highly sophisticated printing technology on the planet, Litho Ninja can print your comic books, posters, flyers, trading cards, convention display graphics, and much more. We believe that all print jobs begin with building a strong relationship with our comic customers by providing top-notch service and the highest quality comic printing, and because of this approach, you will understand why top comic artists choose Litho Ninja for all their comic printing needs. Paying attention to detail in every aspect of the production line insures total customer satisfaction from beginning to end. After submitting our comic print request forms, you will be contacted by our print experts to confirm your request and to ensure there are no issues with your artwork. For comic book orders, a printed comic book "hard copy" proof will be mailed to you (if requested) before proceeding with full print order; after the hard proof (or soft proof) approval your full order will be processed. For detailed comic book printing specifications please visit our FAQs.